This is a little different take on Amish fiction. Often the subject is an Amish person and an Englischer (non-Amish) falling in love and then what will their future be? This is all part of Fearless Hope but in this book, the main male character, Logan Parker, is a bestselling crime fiction writer who is unaware that he has a connection to the Amish families in the area where he is visiting. He feels a strong pull to a farmhouse that is for sale, entering it brings him a feeling of deep peace. This connection is really a very intriguing mystery. It is also a sweet romance and though between very different cultures, still quite believable. Adults or high school teens, particularly women. 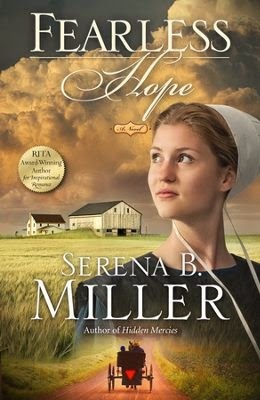 Hope, the main female character, widowed with two small children, had to learn to trust her own understanding of what obedience to God meant, even within one of the strictest sects of the Amish. She had to depend on God rather than man, a lesson we all need to be reminded of. Ceil Carey is a retired public library professional, Christian book club leader and Co-President of ECLA. Evangelical Church Library Association Presents, Whodunit!